Jaimee joined Sherwood Boutique Litigation in 2011. She provides paralegal support to all members of the team, as well as manages the administrative operations of the firm. Jaimee graduated from Ferris State University, in Big Rapids, Michigan, in 2011 where she received a bachelor’s degree in Music Industry Management and an associate’s degree in Legal Studies. 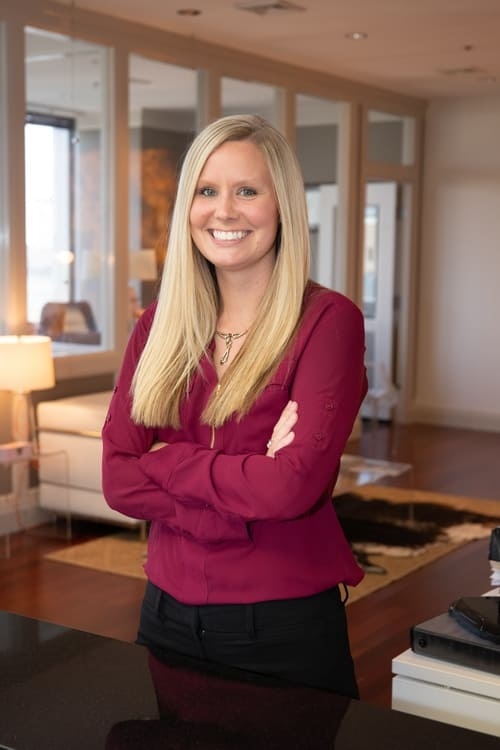 Before coming to Sherwood Boutique Litigation, Jaimee interned at Country Music Television in the Production Management Department, which led her to Nashville–but it was her passion for criminal law and belief that every person deserves an exceptional defense that led her to Sherwood Boutique Litigation. To see more, visit our attorney directory or see profiles of Cynthia Sherwood,Davis Griffin< and Stephanie Mercer.